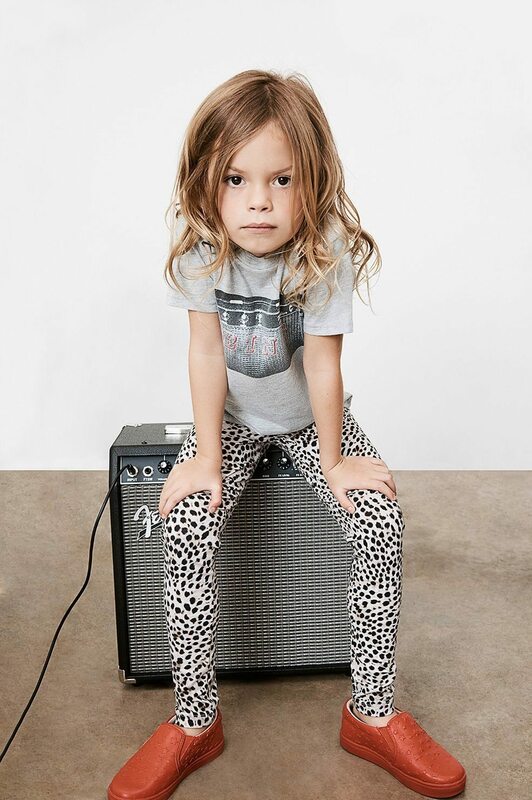 Designer Anine Bing has launched a children's collection called Bing Kids. The mostly unisex line includes graphic tees, skinny jeans, sleepwear, sweats and statement jackets. The collection will mimic Bing's women's line in inspiration and delivery, offering monthly drops instead of seasonal assortments. Highlights of the kid's line include scaled down leather jackets and army jackets. "I want it to be easy for the parents, and I want kids to play in [the pieces] and have fun and not have to be careful," Bing said in a release. Right now the collection is only sold online but Bing is open to the possibility of rolling it out in store in the future. Her brand currently operates eight stores globally with an LA flagship. The designer plans to open a second LA location this fall, as well as a new SoHo store in NY. Of the timing for the children's line, she explained that it has long been a goal of hers to expand into the kids apparel sector, adding "I wanted to wait for the right moment and grow the main brand to where it was standing by itself and had a strong presence." The children's collection ranges in price point from $40 to $400. Her women's assortment ranges in price from $80 to $1,000.